Arrakiel Carapiet Martin, M. Inst. 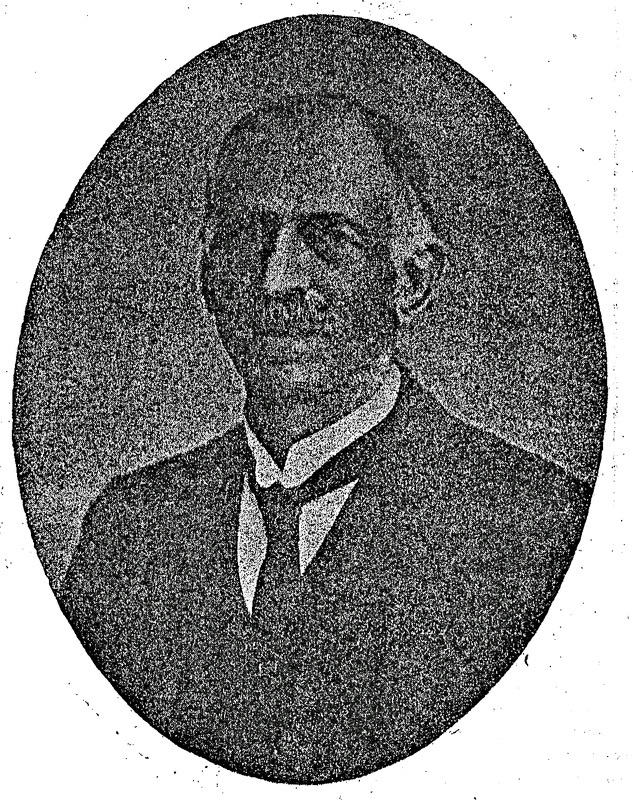 St. E. principal of the firm of A.C. Martin & Co. Engineers, Builders and Contractors, has done more for the development of Burma than probably any other person. This remarkable man was born at Julpha Ispahan, in September 1864 and in 1875 he was sent to Calcutta to be educated. After four years in the Armenian College he continued his studies for two years at St. Xavier’s College and then passed into the Sibpur Engineering College for training as a Civil and Mechanical Engineer. After a course of four years he was appointed to the Public Works Dept. Upper Burma in 1886, where he was engaged in the construction of the Mandalay Canal head works. No one knows Burma better than Mr Martin, nor is there a better authority regarding its potentialities than he. Mr Martin spent fourteen years in U. Burma and during that time made a study of it mineral resources and geology, in which he took a deep interest. The result was that in 1900 he re-discovered the large silver-lead mines now the property of the Burma Corporation Ltd. in which he is a very large shareholder. He was one of the successful pioneers of Wolfram and tin ore mining at Tavoy. Mr Martin also holds considerable tin concessions at Mergui. Everything he finds or touches is on a big scale; thus another of his discoveries was ten square miles of shale deposit with layers at a depth of from 350ft. to 450ft. at Mepali, 60 miles from Moulmein; also the greatest marble deposit in the west of Pagat, about 32 miles from Moulmein. Analysis of the deposit shows 99.7 of pure calcium carbonate. In 1900 Mr Martin resigned his appointment in the P.W.D. and started his present business as Engineer, General Builder and Contractor. It was Messrs. Martin & Co. who constructed practically all the modern asphalt and stone set roads in Rangoon and they are suppliers of stone, metal and laterite from their quarries at Kyaikto. The Zeygo Bazaar at Mandalay 2,121ft. by 212ft. the largest of its kind in the east, was built by the firm as also were the Mandalay Electric Tramway Power Station, the Upper Burma Club, Mandalay, many of the buildings in the area including the Police Training School, Messrs. Rowe and Co.’s new premises and the A.B.M. Buildings, the Yegu pumping station for the Rangoon Municipality. Most of the large commercial structures of Rangoon were erected by them, including the premises of the Bombay Burmah Trading Corporation and Ford Motors, Whiteaway Laidlaw, Bulloch Bros., A. Scott & Co. Bank of Bengal Agent’s House, Government Insein Engineering College, Masonic Hall, Currency Buildings etc. as well as numerous Police stations and bridges throughout the country. Another example of their work is found in the pipe-line belonging to the Burma Oil Co. over Pazaundaung River Suspension Bridge. The latest works executed by firm are the construction of the major portion of Mingladon, the new Cantonments for Rangoon, also the Rangoon Municipal Scott Market, part b. together with the new premises for Messrs. Balthazar & Son, Rangoon and also the new police Supply Depot Office, Rangoon. The firm is now engaged in the University Building in Prome Road and in putting up the Engineering Buildings for the said University. The firm have their own stone quarries in Lower Burma and in Pakur, India. Besides the recent discovery of a very high grade and extensive Iron Deposit, 92 miles from Rangoon Mr Martin is now actively engaged in the development of the Silver, Lead Copper Deposit at Mizin at the junction of the Yunzalin and the Salween rivers just above Moulmein. During the war Mr Martin built, at his own expense, one sailing vessel “Armenia” This vessel was entered as “A.I.” in Lloyd’s Shipping Register. The works managers are: Mr Carr Johns and Mr J. Stephens. The firms address is Mason’s Building, 35th St. Rangoon.